The October preliminary Markit PMIs for major economies were somewhat stronger, on balance, than September’s. The US is off its peak but still quite strong. The Eurozone recovered a bit, thanks to Germany is my guess, though the reading is still around the 50% expansion/contraction line. 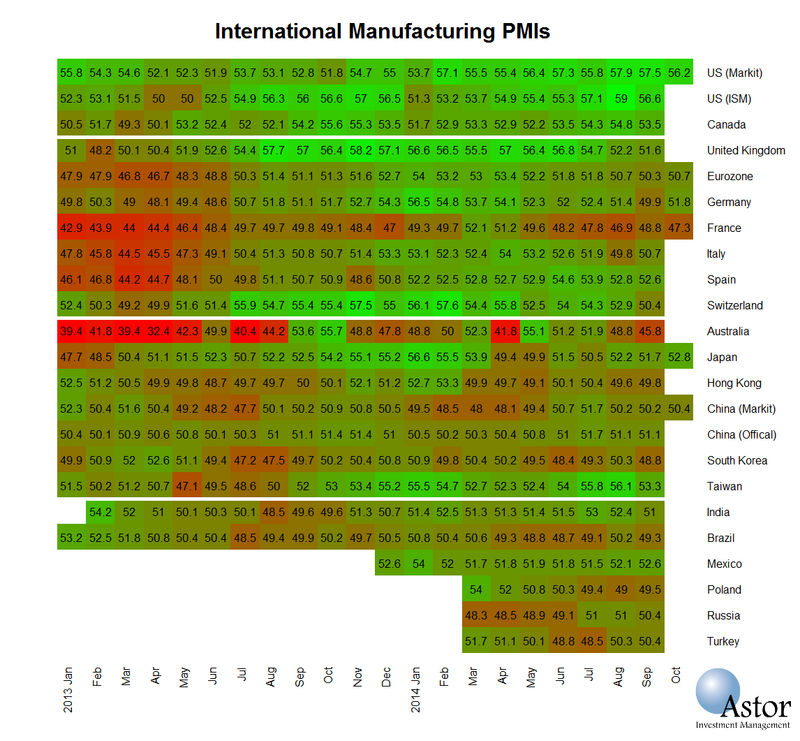 In Asia, Japan’s manufacturing PMI posted solid progress and China registered little change. Overall, the preliminary PMI’s suggest to me no significant changes in global economic growth: Fairly strong in the US, moderate in Asia, weak but positive in Europe.